Farm on a Building Raises the Roof! Her t-shirt says MODERN FARMER. Architect turned Agri-Innovator Mary Ostafi is one, in spades. Her vision, hard work and business savvy continues to grow St. Louis first urban farm on top of a downtown building: Urban Harvest STL. When Earthworms last talked with Mary, in June 2015, she was just digging in for her Food Roof's first, short growing season. She had blown through the roof of a Kickstarter campaign and secured a big stormwater management grant and was planting the seeds of her enterprising dream firmly atop the second story of a warehouse building in the city's core. This year, she and her largely volunteer team are fixin' to post achievement gains well over that first season's impressive growth of 1,033 pounds of food produced from 62 varieties of plants, with 60% of it donated to further Urban Harvest's mission to "Grow Food Where You Live!" Mary Ostafi's timing was perfect for planting her non-profit idea firmly into the living soil of both the sustainable food and food justice movements that are sweeping St. Louis and the country overall. Urban Harvest works in partnership with social service leaders like the St. Louis Food Policy Coalition, St. Patrick Center, St. Louis Metro Market and more, and has tapped into the farmer training program of EarthDance Farms to create one job in the farm's first year, and significantly boost the profile of all this collaborative energy. Plus eating WELL - and hosting parties! 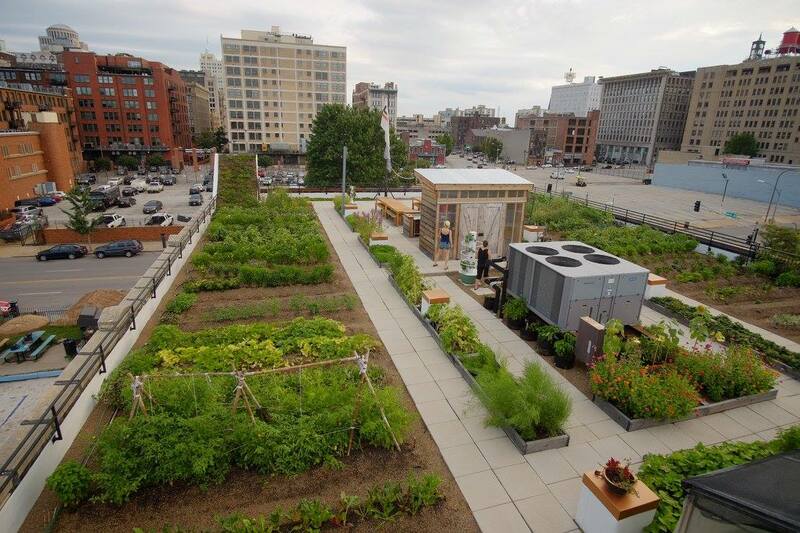 Check out the Food Roof as a volunteer, any Saturday morning - and get your tix while they last for RAISE THE ROOF, the first Urban Harvest fund-raiser on Thursday Sept 22 - which happily also happens to be the Autumnal Equinox. Earthworms salutes you, Mary Ostafi - YOU GROW GREEN GIRL! Thanks to Josh Nothum, Earthworms engineer. Fruit or Vegetable? To clear up the question in this interview: a fruit is a seed-bearing structure that develops from the ovary of a flowering plant, whereas vegetables are all other plant parts, such as roots, leaves and stems. BUT there's overlap, thank you tomatoes - and always something else to learn. Given the persistence of fossil fuels, it's tough to imagine how Ready KiloWatt and his gang can power an optimistic, realistic new era. And with ever-more gizmos guzzling juice, does energy efficiency have a prayer? YES! say former utility CEO and energy policy authority S. David Freeman and today's Earthworms guest, energy journalist Leah Y. Parks. They are co-authors of a great new book, All-Electric America - A Climate Solution and the Hopeful Future (2016, Solar Flare Press). This book is a terrific summary of clean energy options, clearly explaining solar to storage, economics to electric cars - backed by current examples from U.S. cities, businesses, utilities and points of techno-evolution. Dave Freeman remains optimistic after 7+ decades of energy work, as an architect of the US EPA during the Nixon era, as L.A.'s Deputy Mayor for Energy and Environment, and as CEO of utilities in Texas, California and New York. Leah Parks represents their research and writing partnership with clear enthusiasm for the many ways clean electrical technology is HERE, and how even utility evolution inertia is being overcome, in examples like Vermont's Green Mountain Power and Oregon's Pacific Power. Could America's clean energy future be plugged in and powering up right now? This Earthworms conversation says, energetically, YES! Thanks to Andy Coco, Earthworms live-wire engineer. More than half of U.S. forested acres belong to private citizens, in plots vast and small. Over 10 million Americans collectively own 420 million acres of our nation's woods. You may be one of them - or could be! 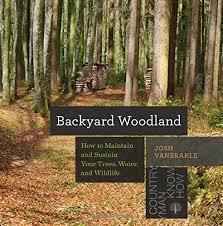 Catskills region forester Josh Vanbrakle has compiled a wealth of know-how for individual forest stewards in his new book, Backyard Woodland - How to Maintain and Sustain Your Trees, Water and Wildlife (The Countryman Press, 2016). Josh's love of the woods rings through this Earthworms conversation, as he shares his expertise in evaluating woodland health, getting families involved in ownership, recruiting neighboring eyes and ears to help you oversee your land's well-being and making some of your living by "doing well by your land." From growing your enjoyment of nature to farming your forest - in city, suburbs or countryside - these ideas can work for you, and for woodlands you could come to know. Music: "Frankie & Johnny" performed by Brian Curran, live at KDHX-St. Louis. Related Earthworms Conversations: A Tribute to Leo Drey (June 2, 2015) - honoring Missouri's largest private landowner whose untutored diligence is transforming forest management conventions in universities and government agencies across the U.S.
Scientists have used hidden cameras to study and explore as long as we've had them. Today's camera trap equipment lets professionals and Citizen Scientists in on the hidden habits of critters that are often so shy - especially mammal predators - that they're impossible to simply see. SNAP! These gizmos provide an "Animal Selfie" view of nature! Earthworms' guest Roland Kays has compiled pix from the files of camera trappers world-wide into the first book ever showing their best views of rare, endangered and also healthy species. 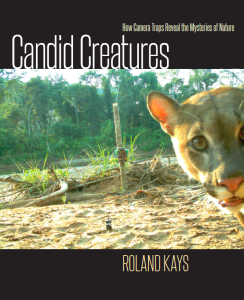 Candid Creatures - How Camera Traps Reveal the Mysteries of Nature (2016, Johns Hopkins University Press) presents selections from millions of possible photos. We get to see individual species AND an exciting, important report of camera-trapping conservation research. You can participate in this vivid, accessible biodiversity work! Kays is collaborating with the Smithsonian as leader of the eMammal project, a volunteer effort to study the effects of hunting and hiking on wildlife. Citizen Science recruitment is on, for adults, families, teachers and students. Camera-trapping equipment is so common now, Wal-Mart sells it. Let Earthworms know if you get involved! 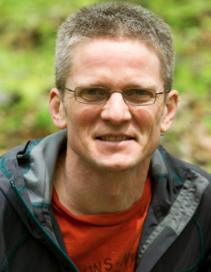 Roland Kays heads the Biodiversity and Earth Observation Laboratory at the North Carolina Museum of Natural Sciences, and is a research associate professor at North Carolina State University. 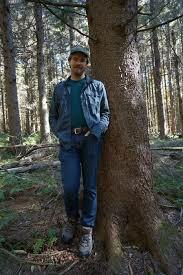 He is also the author of Mammals of North America, a field guide that has become a smart phone app. Music: Dirty Slide by Brian Curran - performed live at KDHX-St. Louis, December 2015.